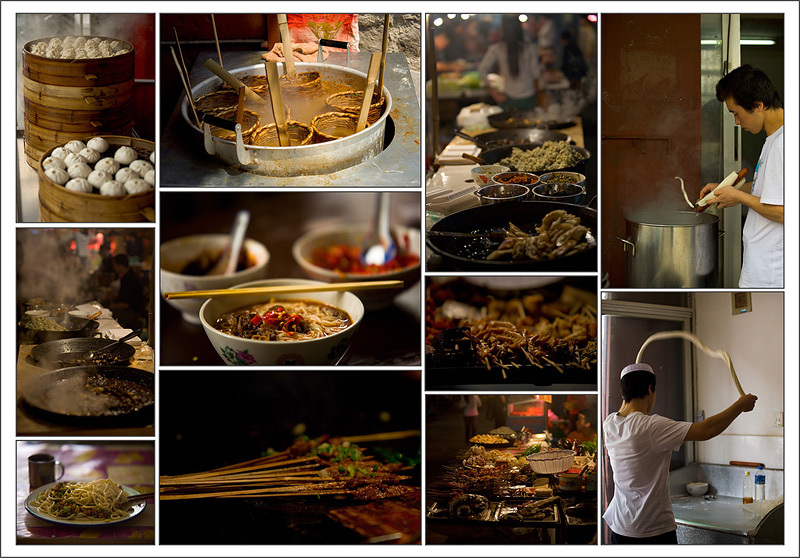 A montage of a variety of Chinese food. Welcome, once again, to archive photos (on the weekends). I've used a couple of these photos in a previous post but never to this effect. Turns out this is one of the more popular photos on my Flickr photostream so I simply decided to transfer it here. My favorite food item here turns out to be the spaghetti-like pile of deliciousness in the lower left corner. It's a hand-pulled noodle dish in the family of "Lanzhou Lamian".